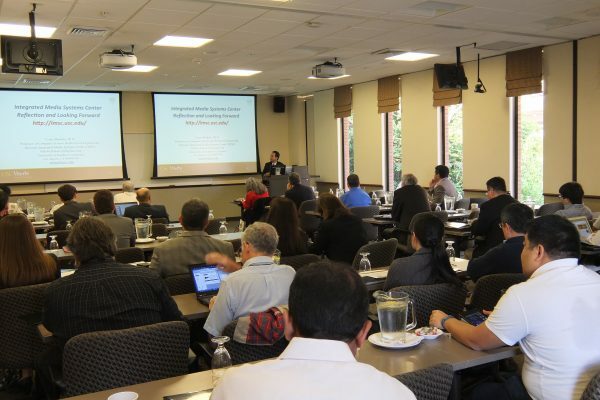 IMSC Retreat 2015 was held on April 2, 2015 at Radisson Hotel (across from the USC main campus). 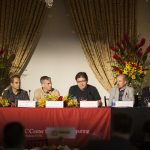 More than sixty people attended the event including people from outside such as Microsoft, Chevron, IBM, NGC, Oracle, LA County Government, NII Japan, INRIA France, to name a few. 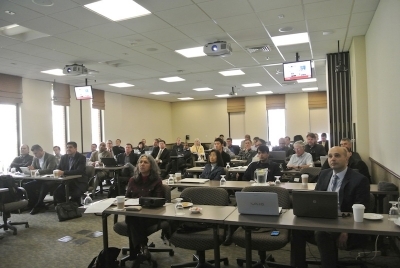 This year the keynote speech delivered by Prof. Michael Franklin, Chair of the Computer Science Division of EECS Department at UC Berkeley. 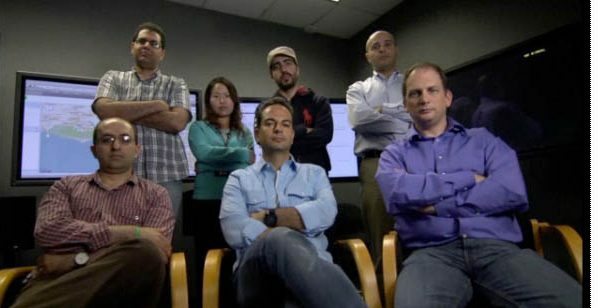 NSF announced six newly funded projects which improve future disaster management using Big Data. 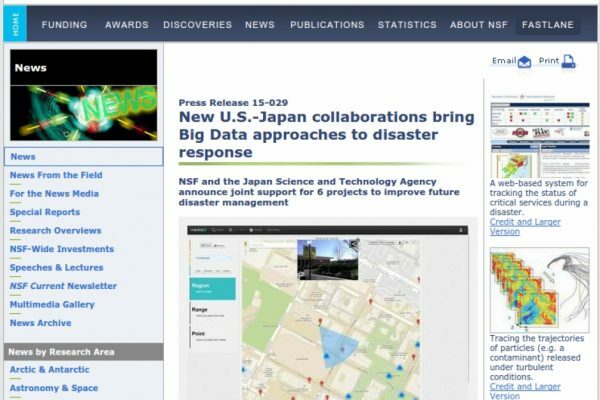 This is a part of international effort between US NSF and Japan’s JST (Japan Science and Technology Agency). 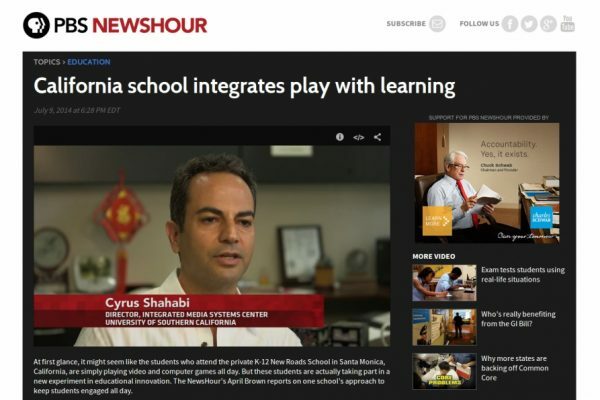 On July 9, 2014, PBS NEWSHOUR broadcasted a news titled “Integrating play with learning by California schools”. 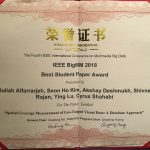 In this report, GameDesk (IMSC startup) was introduced as a successful case of integrating computer play in students’ learning activities in Californian schools. 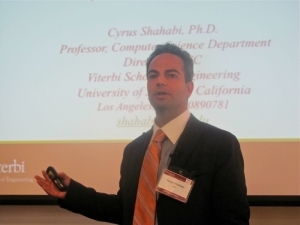 And, IMSC Director Cyrus Shahabi talked about how computer game playing can be used in making mathematics learning helpful for students. IMSC Retreat 2014 was held on March 13, 2014 at Davidson Conference Center at USC. 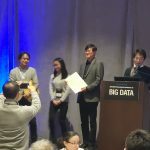 Attendee list included researchers and engineers from Microsoft, Google, Oracle, Chevron and so on, and scholars from USC and other universities. 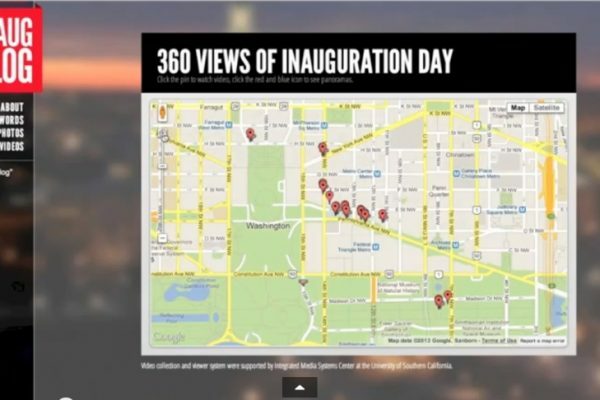 IMSC’s recent startup ClearPath will showcase its next-generation navigation system to key industry leaders at the Connected Car Expo’s FASTPITCH competition. 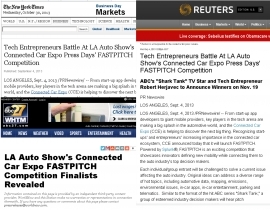 ClearPath is selected as one of the eight finalist start-ups that have emerged as clear front-runners among many. IMSC Retreat 2013 was held on March 7, 2013 at Davidson Conference Center at USC. 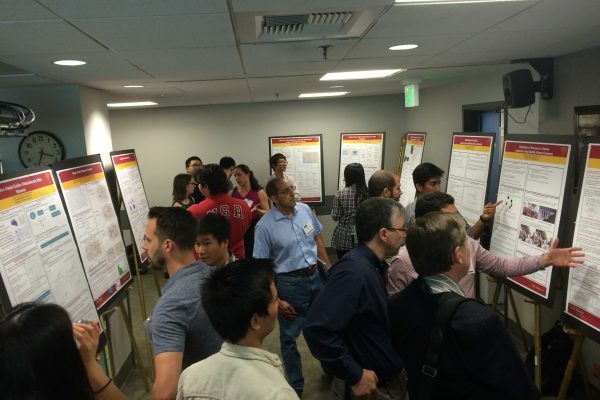 Attendee list included researchers and engineers from Microsoft, Google, IBM, HP, Samsung, Chevron and so on, and scholars from USC and other universities. IMSC Retreat 2012 was held on March 8th, 2012. 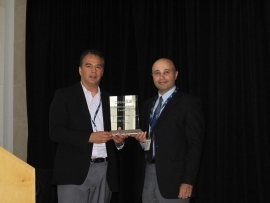 Throughout the day, IMSC presented the results of its last year efforts as well as providing a forum to build a network between the academia and the industry.